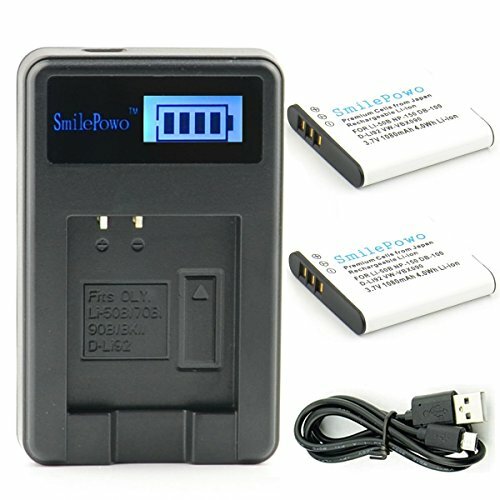 SmilePowo charger is 100% tested and works as well as the original one. We are confident with our quality, so every SmilePowo charger comes with 30-day money back guarantee and 12-month manufacturer warranty. Included: 2 X LI-50B Batteries, 1 X Charger, 1 X USB-MICRO Cord. If you have any questions about this product by SmilePowo, contact us by completing and submitting the form below. If you are looking for a specif part number, please include it with your message.